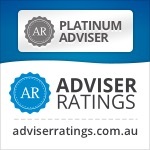 I am being inundated by queries from young men aged 20-40 looking to learn more about Bitcoin and then a cohort of traditional SMSF trustees aged 40-70 who have an interest in alternative investments and especially Gold who now want to at least know more about Bitcoin and cryptocurrencies in general. so when I came across this latest paper dealing with both subjects from my good mate Jordan Eliseo, Chief Economist at ABC Bullion I twisted his arm to let me share it to my readers. BITCOIN, DOLLARS, GOLD: What Is the Future of Money? Now, if you are determined to go ahead and invest in Bitcoin or other cryptocurrencies then you need to do some serious groundwork. Although there are not yet any formal rulings from the ATO clarifying how the rules apply to Bitcoin, there are a number of Tax Determinations that help guide any SMSF Trustees considering investing in bitcoins. GSTR 2014/3 Goods and services tax: the GST implications of transactions involving bitcoin. Is it right for your needs and objectives? Consider if an investment in Bitcoin would satisfy the ‘sole purpose test’? 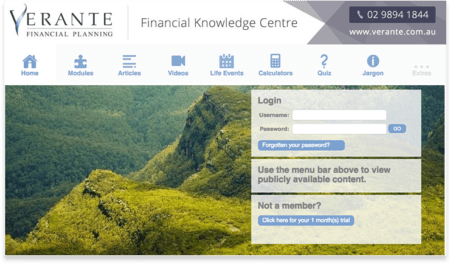 – Are you honestly investing in it for your retirement? Does you Trust Deed allow for investing in bitcoins or cryptocurrencies. Read your deed and maybe ask the trust deed provider. Talk to your fund’s auditor before proceeding as they have to sign off on the investment’s validity annually so better to run the strategy by them upfront. If you wish to proceed with a purchase then have you amended your SMSF’s investment strategy to cater for this investment? Click the link for more details. How secure is the exchange/wallet you are storing your cryptocurrencies in. Some have been hacked and coins lost. No matter what it is essential to do you research and not take a gamble with your retirement nest egg unless you have covered all your bases. Auditors and trustees can have access to the single public ledger that records Bitcoin. Websites such as Blockchain, BlockExplorer and Blockonomics allow input of a transaction ID to get detailed data of that Bitcoin transaction. Third party verification for auditors is therefore also possible. You can obtain a transaction list from the SMSF wallet provider and verify each holding. I am sure further tools will become available. 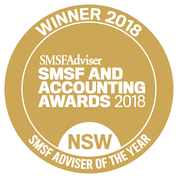 It always amazes me that very often when I take an SMSF under my advice that I find that the estate planning and use of Binding Death Benefit Nominations has been haphazard, lacking in essential detail, ignorant of the SMSF deed requirements or just missing. People spend their lives amazing a nestegg only to be lax in ensuring it goes to who they want when they die. A recent decision has clarified three issues regarding the validity of binding death benefit nominations. I have relied on the following summary from Townsend Law’s Michael Hallinan for interpretation of the decision. A recent decision of the South Australian Court of Appeal (Cantor Management Services Pty Ltd v Booth ) has passed important comment on no less than three different issues regarding the validity of a binding death benefit nomination (BDBN). The critical issue was whether a BDBN was valid. If valid, then the death benefit was payable to the estate of the deceased member. If invalid, then the trustee would decide the allocation of the benefit. The validity turned upon the issue of whether the BDBN had been served on the corporate trustee. The BDBN had been signed by the member and then left in the possession of the accountants of the SMSF at their office which was also the registered office of the corporate trustee. The sole director of the corporate trustee had argued that as the BDBN had not been provided to the director nor had the accountants been expressly authorised to accept and hold the BDBN on behalf of the corporate trustee, then the BDBN had not been properly served on the corporate trustee. The Court did not accept the argument put by the corporate trustee. The Chief Justice held that it was sufficient to constitute service on the corporate trustee for the BDBN to be held by the accountants of the SMSF at the registered office of the corporate trustee. The other justices agreed with the Chief Justice. The second issue was that the Court opined that the accountants had a duty to keep the BDBN safe and also had a duty to bring to the attention of the trustee of the SMSF that they held the BDBN. If the Court had held that service had not been properly effected, the defendant may have been able to sue the accountants for their negligence in failing to advise the trustee that they were holding the BDBN. Luckily for them the Court said that service was good anyway. The third issue was that Court agreed with the decision of Munro v Munro, which held that SIS regulation 6.17A does not apply to SMSFs (unless the trust deed of the SMSF explicitly or implicitly incorporates the regulation). It is surprising that a few industry die-hards still argue that reg 6.17A might still apply to SMSFs despite the number of times the courts have said otherwise. The original article by Michael Hallinan of Townsends Business & Corporate Lawyers can be found here and you can contact them on (02) 8296 6222. I highly recommend signing up for their newsletter. Make sure to check your with your own current death benefit arrangements or contact us for a review.